The last on-site inspection for bidders interested in the five connected Atlantic Avenue parcels up for auction on Valentine's day takes place tomorrow, Thursday, January 31 at 11 a.m.
Those interested should gather at the entrance to the surface parking lot at 262-276 Atlantic Avenue in Boerum Hill and register for a tour of the site. 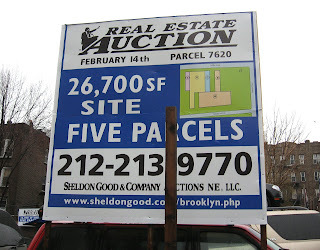 - Real Estate Auction: Sheldon Good & Co.
One construction worker (age 43, with children) died and one was severely injured this morning in a fall from a scaffolding at a 13-story building going up at 525 Clinton Avenue in Clinton Hill. According to wcbstv (video, above), the City Building Department sent warnings to contractors this morning about the expected high winds. It appears that inadequate safety measures were taken at this construction site, and pipes and scaffolding (and the men standing on the scaffolding) blew right off the roof. The builder is Clinton Court Development. The contractors had six violations on the building, according to wcbstv. The architect is Meltzer/Mandl. David Mandl passed away in August, according to the One Hanson Place blog. 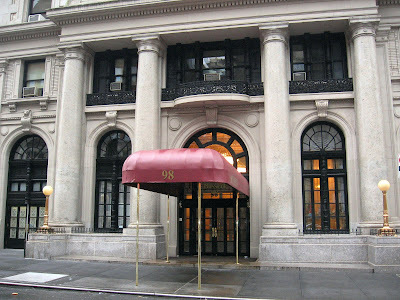 The fabulous Hotel Bossert in Brooklyn Heights (Montague and Hicks) is on the market. According to the Brooklyn Eagle, "As has been its custom, the Watchtower has attached no asking price to the property and is seeking bids and a private transaction." Brokers contacted by the Eagle were hard-put to put an exact price on the grand hotel, but one, Arlene Waye of Awaye Realty, said, "This is a phenomenal property. It will probably bring a price in the $100 million range.” Timothy King, a senior partner at Massey Knakal Realty Services Brooklyn, said, “This is perhaps one of the most unique and most well-maintained trophy assets in Brooklyn." More. Commenters on the Brownstoner blog offer guesses ranging from $20 million to $80 zillion. Need a little spare cash? 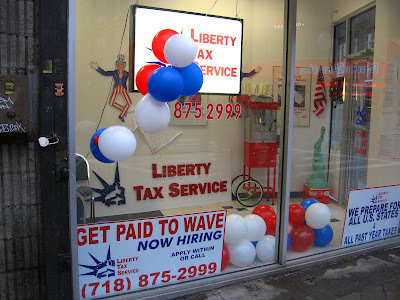 Liberty Tax Service in Downtown Brooklyn will pay you to dress up like the Statue of Liberty and wave at people. The city Medical Examiner’s Office said that John Rossi, 56, the Bay Ridge pharmacy owner who was found shot to death Monday night, committed suicide, according to the Brooklyn Eagle. Rossi co-owned Lowen’s Pharmacy on Third Avenue at Bay Ridge Avenue. Rossi was seated behind a desk in the office with a bottle of Jack Daniel’s. He had also left a note to his wife Josephine that said, “Please forgive me.” He was shot in the chest and the head. Rossi’s store was at the heart of a major steroid investigation. Last May, more than $100,000 in steroids shipped from China were seized. According to the NY Times, a bigger raid in September seized nearly $8 million worth of human growth hormone and anabolic steroids. - Rossi was the subject of a criminal investigation and at the heart of an internal probe by the NYPD into steroid use among cops yet he was still allowed to keep a licensed gun? - The building where the pharmacy is located is owned by Rossi and Julius Nasso. Nasso used to be Steven Seagal's business partner and in 2002 was arrested on suspicion of conspiring to extort Seagal He was charged with a bunch of people with alleged ties to the Gambino crime family. But for the grace of a fingertip blown off, the odds are that a terrible tragedy was averted in Brooklyn last week. Though joking called the "mad bomber" and written off as a dog-walking kook, Remsen Street's Ivaylo Ivanov was charged Monday with 105 counts of hate crimes as well as criminal possession of a cache of rifles, handguns, and 8 pipe bombs, including one with a remote control, according to wcbstv.com. Rabbi Serge Lippe of the Brooklyn Heights Synagogue told CBS 2 HD: "We've had Virginia Tech, we've had the Omish school house, I think but for a miracle and our thanks to the detectives, we would have been looking at a similar situation." 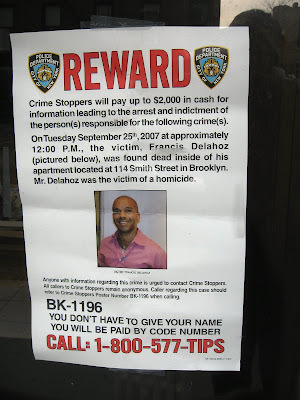 On September 25, SoHo hairstylist Francis De La Hoz was left to die after his throat was slashed in his Brooklyn apartment at 114 Smith Street. According to Newsday (via Bellook), there are no leads to identify the man he met on the Internet and had been dating. Friends had discovered the 39-year-old’s body after he failed to show up at work for three days, according to the Brooklyn Paper. The Iditarod is the famous race in which huskies pull sleds across Alaska. The Idiotarod is the same thing, except it's goofballs pulling shopping carts through Brooklyn. The Gowanus Lounge shot the above video of the race as it leaves "Checkpoint Two" at The Yard, next to the Carroll Street Bridge in Gowanus and at the finish line, Moonshine, on Columbia Street in Red Hook. More photos and links here. 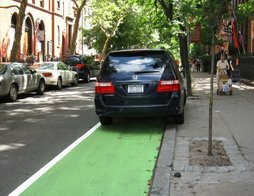 "I along with community leaders, Brooklyn Community Board 6, and Carroll Gardens residents have brought to the Department of City Planning (DCP)'s attention concerns about the zoning implications of the 'wide street' definition in the R6 zoning district on 1st through 4th Place in Carroll Gardens. 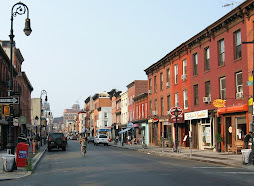 I am happy to announce that in response to these concerns, DCP has agreed to put forward an application for a change to the zoning text whereby these streets would be defined as 'narrow streets' for zoning purposes, permitting a lower Floor Area Ratio (FAR) and maximum building heights that are more in keeping with the surrounding character and context of the neighborhood." "This zoning text amendment would go through a public review process, and DCP hopes to have this ready for referral by the City Planning Commission in March." Boerum Hill , famous people, getting to be a zoo. Racist graffiti scrawled in an elevator inside Brooklyn Surrogate Court called Diana Johnson, the first black judge elected to Surrogate's Court in New York state, a "dumb n___." There are surveillance cameras inside Brooklyn Surrogate Court, but police are not yet revealing what they show. More details emerge about the chameleon-like Jennifer Wilkov, the Brooklyn Heights financial advisor/ author/ neuro-linguistic programmer/ entrepreneur/ wunderkind/ conwoman, who pleaded guilty Tuesday to defrauding 23 real estate investors. Wilkov is the author of "Dating Your Money." The top photo shows the progress of the 25-story portion of 189 Schermerhorn (near Hoyt) shot Thursday from the Livingston Street side. The same project on the Schermerhorn Street side will be a connecting seven-story loft building, as seen in the rendering below the photo. The developer of the Downtown Brooklyn condo project is SDS Procida, which, according to Brownstoner, tried to sell "the entire 250-odd-unit project mid-stream." The rendering is from the Web site of architect Stephen B. Jacobs Group. It follows a father, who is the owner of a company and his 17 year old son who is temporarily working for him, as they walk to work in the morning. The son was suspended from school because pot was found in his locker. The father has an urgency to interest his son in the family business and straighten him out. 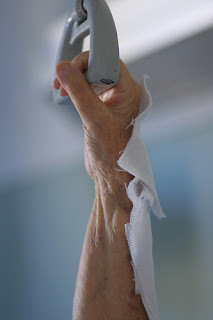 They appear to be the embodiment of the typical generation gap of that era but they do have something in common; each is silently suffering from the onset of a drastically different ailment with outwardly similar symptoms. Steven Tanenbaums previous feature film was "Coming Soon." A financial adviser and author from Brooklyn Heights (with an office on Montague Street) pleaded guilty Tuesday to charges that she schemed with two California women to steal more than $1.6 million from investors in a housing fix-and-flip scam. According to the Brooklyn Eagle, Jennifer Wilkov, 39, admitted she used her job at American Express Financial Advisors to find victims in New York City to invest in a fraudulent scheme to fix up houses in California and resell them for big profits. Wilkov is the author of "Dating Your Money." 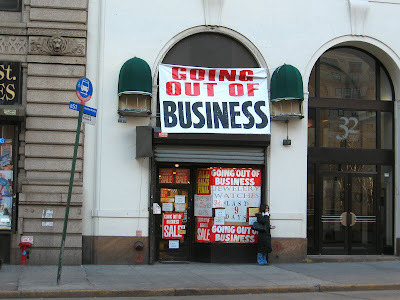 For the longest time, Boerum Hill residents have complained about the Times Plaza Post Office. People waiting at home all day for expected packages have even reported their mail carriers sticking "While You Were Out" slips on their doors without bothering to ring the bell. 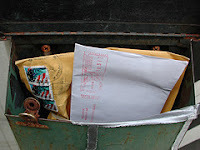 Packages are sometimes lost forever, they say, and post office staff can be anything but helpful. Now the Boerum Hill Association is conducting a survey to take to the Post Office management and elected officials. The goal? To replace Times Plaza with a "real" post office, reports the Brooklyn Eagle and the Gowanus Lounge. Aids Research Roomie of Brooklyn Heights Bomber Stays "Mum"
The NY Sun reports that the prominent AIDS researcher linked to Ivaylo Ivanov -- the man charged with gathering an arsenal in a Brooklyn Heights apartment and allegedly painting swastikas around the neighborhood -- declined to cooperate with police until he could secure a lawyer. Immigration and Customs Enforcement officers picked up the Michael Clatts at JFK Wednesday as he returned from Vietnam, where he had been doing research. NY Magazine keeps us up-to-date about the Heath Ledger coverage here. Police are no longer touting suicide, according to NY Magazine. Sunday morning's discovery of an arsenal of weapons — including pipe bombs, guns and a crossbow — at 58 Remsen Street in Brooklyn Heights has solving a tantalizing mystery. According to the Brooklyn Eagle, 31-year-old Ivaylo Ivanov has confessed to painting swastikas and writing "Kill Jews" in the neighborhood in September. He'll be hit with dozens of charges for this, on top of his weapons charges. Ivanov is a Bulgarian immigrant who shared an apartment at 58 Remsen St. with AIDS researcher Dr. Michael Clatts, says the Eagle. More here. 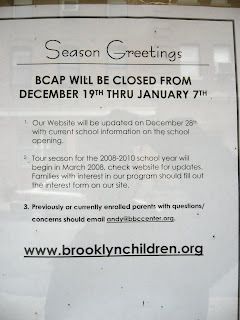 UPDATE: Photo of Ivanov on the Brooklyn Heights Blog. UPDATE: Ivanov says he is Jewish, and claims he was going to use the bombs to go fishing. Several Remsen Street buildings in Brooklyn Heights were evacuated early Sunday morning after police found explosives and a cache of weapons in an apartment. 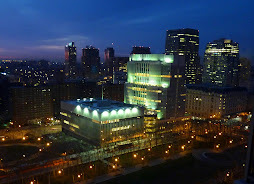 A 31-year-old man who lives either on the fourth or third floor of 58 Remsen Street went to Long Island College Hospital at about 12:45 a.m. Sunday morning . He had called 911 and reported that he had shot himself in the hand. When police searched the apartment, they found enough weapons to raise worries of terrorism. 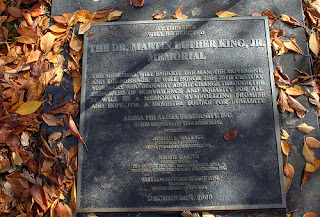 The city is coming to Brooklyn to celebrate Martin Luther King Day. At BAM (Brooklyn Academy of Music), BP Marty Markowitz, Senator Charles E. Schumer, Mayor Michael R. Bloomberg, New York City Council Speaker Christine C. Quinn, Congresswoman Yvette D. Clarke, and Kings County District Attorney Charles J. Hynes are all speaking at the big event. Soul and gospel legend Mavis Staples and Gary Anglin and the Voices of CCC are performing, and look for the free movie and exhibition. The Brooklyn Botanic Garden celebrates Martin Luther King Day with a performance of spirituals featuring the Great Day Chorale, led by founder and director Louvinia Pointer. 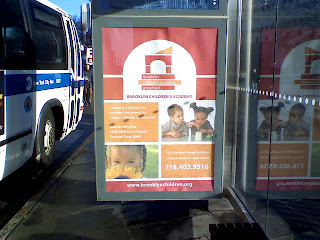 Performances are at 11 a.m. and 2:30 p.m.
Obama supporters will be signing up volunteers at the War Memorial in Cadman Plaza Park at 2 p.m.
A reader emailed this cell phone photo of one of the many Brooklyn Children's Academy Preschool bus shelter ads "popping up like mushrooms" around Downtown Brooklyn lately. 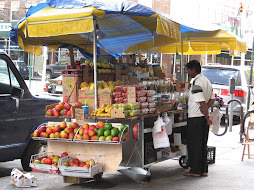 This particular bus shelter is just steps away from Borough Hall, where Borough President Markowitz said he's contacted the state Attorney General in an effort to help Boerum Hill's "toxic preschool" parents collect, according to the Brooklyn Eagle. The preschool was closed in November after parents dropping off their kids discovered exposed wires, unpainted walls and noxious fumes. 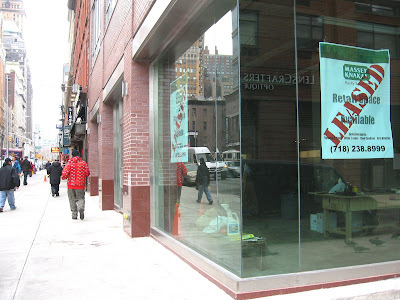 This was after the school moved to 25 Dean St. from Pierrepont Street in Brooklyn Heights. Since then families have been waiting for roughly $70,000 worth of refunds. The People's Court TV program has apparently been in touch with the elusive director of the school, Andy Lewis, but he rejected the option of having his bookkeeping methods explored on nationwide TV. 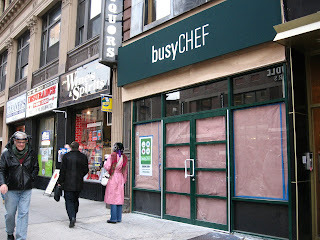 The kids at Chowhound aren't thrilled with the food at Busy Chef on Henry Street in the north Heights ("plastic boxes of mediocre-looking food..."), but the owners are expanding anyway to Court Street near Schermerhorn in Downtown Brooklyn. When Busy Chef opened on Henry Street, we ate the sandwiches and the Caesar salad several times, and found them to be delicious. But then came the change to what appears to be prepackaged airline food, and the taste and quality went drastically downhill. The baked goods are still homemade, however. Last year they were on the market for $24 million, but the bidding is starting at $16 million for the five linked parcels across the street from the jail on Atlantic Avenue in Boerum Hill, Brooklyn. 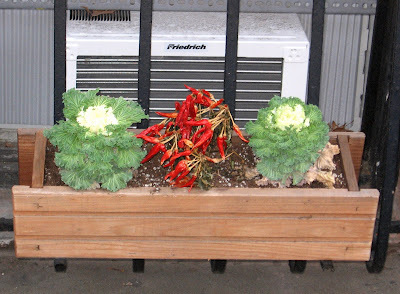 According to the Brooklyn Eagle, the owner is willing to sell them together or separately. The auction is on Valentine's day. WATCH as seven Charismats battle to become the supreme demagogue of the Interactive Social Contract, HEAR as they espouse the inherent truths revealed in the ISC, FEEL the excitement of having your own greatest desires for humanity repeated back to you in a new process called "Mass Feedback Hypnosis". The Interactive Social Contract is a web application, which automatically describes the Biologically Ideal Social Form via public input and voting. You can be sure your own opinions are adequately represented by participating at VOTOTRON.com ** before coming to the rally. Come one, come all! Submit today, and avoid being amongst the first against the wall when the revolution comes! 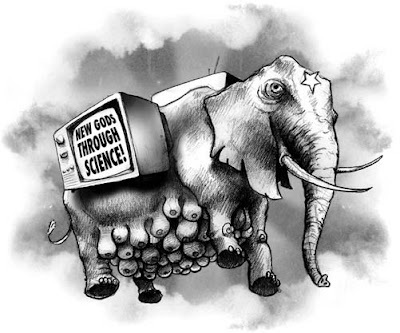 *The Interactive social contract will address all of humanity's natural habits and develop up to date social norms based on people's input, automatically creating the Biologically Ideal Social Form. Feeling a little stressed out lately? Maybe you need some relaxation therapy. New York Magazine has put together a Peace + Quiet section, with advice from fellow New Yorkers on how to cope, where to chill, how to relax those hard-to-reach body parts, how to decorate your office cube for peace and serenity, where to try out a free yoga class -- and how to achieve that perfectly pronounced "om." A sign has been installed to honor the memory of Ron Mortensen, run down by a car on Tillary and Adams Streets at the entrance to the Brooklyn Bridge. The sign was put up on the east side of the Adams Street intersection as part of the third annual Memorial Ride and Walk for People Killed by Cars. Loved ones attached a copy (shown above) to the lamppost that has served as a memorial to Mr. Mortensen since the April 13 accident. Mortensen tried to make it across the dangerous intersection but tripped over his own sneakers. - Borough President Marty and his staffers are still parking on the pedestrian plaza next to borough hall - but now it's officially legal. This ticks off permit abuse advocates no end. NY Daily News as picked up from the Uncivil Servants blog. In light of the newest renderings of the Citypoint development to be located at the present site of the Fulton Mall , we thought it'd be fun to watch the Brooklyn 2012 video again. Demolition has already begun on the parking garage of The Gallery at Fulton Mall to make way for the mammoth (expected to be taller than the Williamsburg Bank Building -- but GREEN! -- high-rise development. Previous stories about the redevelopment of the Albee Square Mall site here. As reported, more than 900 New Yorkers hit the subways sans pants Saturday as part of Improv Everywhere's grand wackness. Here's an AP video clip of the hilarity. 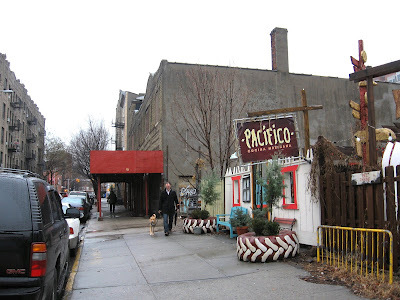 More details arise about the Valentine's Day auction of five contiguous parcels between Atlantic and Pacific Streets (between Smith Street and Boerum Place). The five back-to-back properties are at 262 and 280 Atlantic Ave. and 253, 257 and 259 Pacific St. On the Atlantic Avenue side, the Brooklyn House of Detention will be facing Parcel A, shown in the top photo. 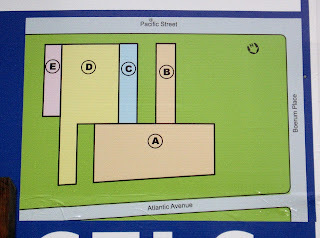 On the Pacific side, Parcel E abuts Pacifico restaurant. 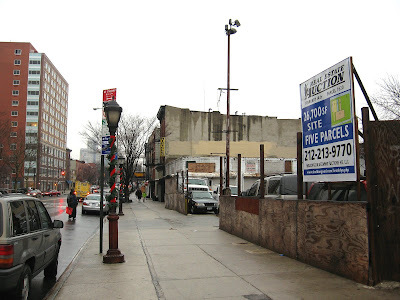 Linda Collins of the Brooklyn Eagle reported in March 2006 that these very same properties were on the market as a package deal. The asking price at the time was $24 million. One of the interesting nuggets reported by the Eagle concerned a 2003 approved permit application to construct a seven-story, 53,000-square-foot, extended-stay hotel with 46 residential units and commercial space on the first floor, at the site of Parcel A. 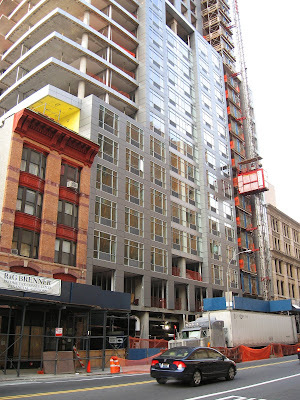 The Boerum Hill Association, the Atlantic Avenue Local Development Association and the Atlantic Avenue Betterment Association (along with Council Member David Yasskey) all "voiced their concerns about this hotel development," the Eagle reported in April of 2007. A public hearing before the city’s Board of Standards and Appeals on a variance to allow construction of the hotel was postponed. But the Web site of auction house Sheldon Good & Co. lists "Extended Stay Hotel" as one of the possible uses of the parcels. In a separate development, right next to Parcel A, on the Boerum Place corner where the Mobile gas station once stood, a seven story residential building with 59 units is planned. An elderly man, trying to pick his sick wife up after a dialysis treatment, was ticketing and fined for double parking in front of the medical center in Brooklyn. All are invited to participate in the 7th Annual No Pants! Subway Ride. The event will take place at 3:00 PM on Saturday, January 12. 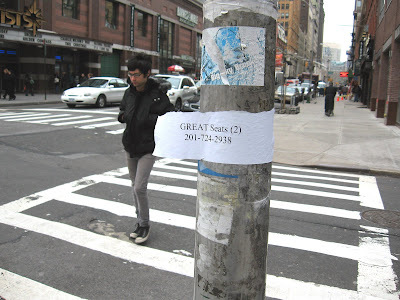 For full details, see Improv Everywhere (they cause scenes). UPDATE: Improv Everywhere reports that there were 900 participants in the No Pants Subway Ride. The crowd was so large that they spread out over three subway lines, using the 6, R, and 2 trains. Reports from the field are pouring in, so check out the site here. UPDATE 2: See the video here. Brooklyn in Brief: Are We Having Fun Yet? Alas, the whole supersized jail-aganza is over, reports the Eagle. Only one developer expressed interest in the proposal. So now the city Department of Correction is dropping the condo-wrapped-around-a-jail part and they're just going to make the jail bigger. 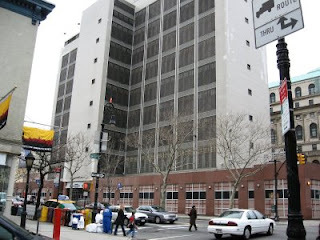 Past posts on the Brooklyn House of detention here. 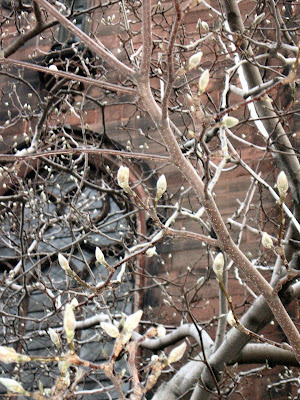 Warm weather has fooled this tree into bringing forth hundreds of velvety buds. The tree (is it a magnolia?) 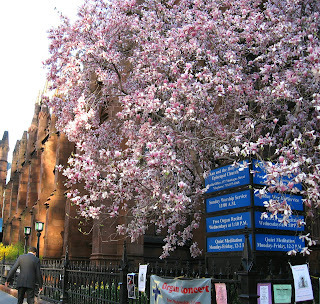 graces the corner of Montague and Clinton Street in Brooklyn Heights -- that's St. Ann's Church in the background. Unfortunately, when a freeze hits (and a freeze always hits) those buds are screwed. The bottom picture is how it looked last April. Click on the photo to see the flowers close up. Pretty darn glorious. Sucking Long Island College Hospital Dry? There are many fine doctors and professionals affiliated with Long Island College Hospital (LICH) in Cobble Hill, Brooklyn. It used to be an exceptional hospital. But mismanagement by Continuum Health Partners is crippling the place. Adding to LICH's financial troubles, some patients have been told by their insurance companies that LICH's billing procedures are chaotic. Doctors told the Brooklyn Eagle that ever since Continuum Health Partners and Beth Israel Hospital of Manhattan took over, they've been sucking the hospital dry. Donald Othmer, a Brooklyn Heights chemical engineer who worked at Polytechnic University -- and an old friend of Warren Buffet’s -- left $140 million to the hospital in 1995. Soon after, Continuum bought LICH. And ever since then, says LICH, it has diverted money away from the hospital, and refused to disclose to LICH the details of how the $140 million bequest was appropriated. Now LICH wants a divorce. But is it too late? More at the Eagle. Executive Director Andy Lewis also swears that he will refund the thousands of dollars in deposits owed to parents and teachers -- one of these days. Last month the Eagle reported about the unsafe conditions parents found at the school (no heat, exposed wires, unpainted walls and noxious fumes emanating from newly installed carpeting). It started when a six-year-old put wrapping paper on a lit stove. Brownstoner reported in November that the 5,000 square feet of retail space at 117/119 Court Street (at State, shown above) was rented for a record-high $125 a foot after "long and protracted" negotiations. Massey Knakal senior partner Tim King dropped the hint that the space has been let to a company that's been in the food production biz "for the last hundred years." A month later, no clue as to the identity of the venerable incoming tenant has yet to appear. The folks at Chowhound seem to be leaning towards a grocery store or upscale food merchant, but a restaurant might better fit the two-story space -- which will be quite near the incoming Trader Joe's at Court and Atlantic.